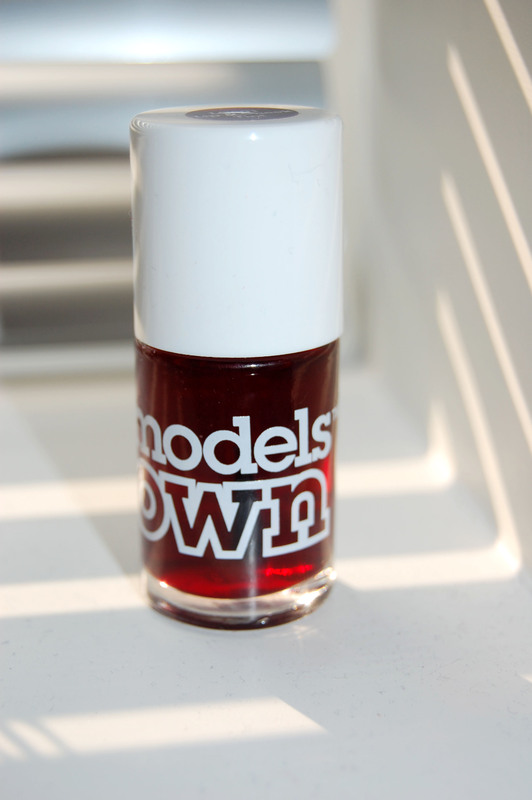 Models Own caught my eye with its exciting colours and modern, slick packaging. It has reached critical acclaim through many magazine reviews and features. I was made first aware of the quality of the brand when WAH Nails started publicising the use of their polishes in their iconic salon in Hoxton and the Topshop on Oxford Street. I have too many nail polishes, so decided against purchasing ones of those, despite them looking very appealing! I purchased instead Models Own lip and cheek stain, as I was after a matte lip colour that was light to wear, but didn’t want to shell out for something like Benefit’s Benetint. This product comes in the same packaging as the nail polishes and features the same brush too. The colour is a lovely raspberry red, very classic and wearable. The texture is a light liquid, which needs to be applied carefully as it will bleed, like an ink. The tint is aÂ translucentÂ colour that can be layered, which adds to its versatility. Worn on the lips the tint is very light weight and produces a lovely raspberry red which is very wearable for everyday use or could be used in combination with gloss for an evening look. It was easy to apply and dried quickly, the only problem was that it did bleed a bit, but this was easily counteracted by not applying too closely to the lip line. On the cheeks, the tint looked very natural. I tried it in two different scenarios, the first time I applied over liquid foundation and the tint worked well, it blended easily and looked lovely. However, when I tried it over my powder foundation it did not blend as easily, due to the liquid nature of the tint, it does not work well with powder bases. I’m very impressed with the product, it’s extremely well made and packaged and at a price of only Â£6 it’s amazing! I can’t really see the difference between this and Benefit’s Benetint, except that the Benefit option is about Â£15. So the verdict? 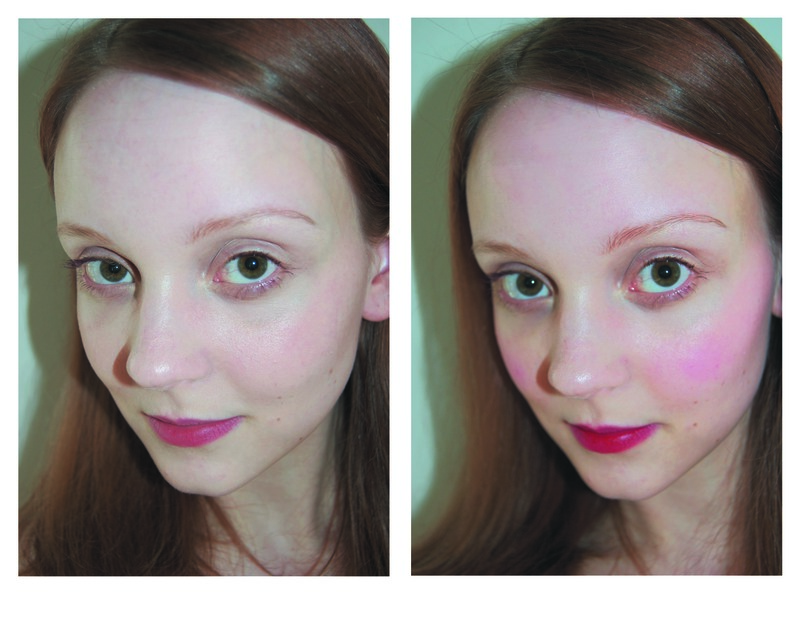 Models Own Lip & Cheek Stain = Bargain Benetint, highly recommend!